The first time that I had Deep Venous Thrombosis (DVT) was one of the most challenging moments of my life. 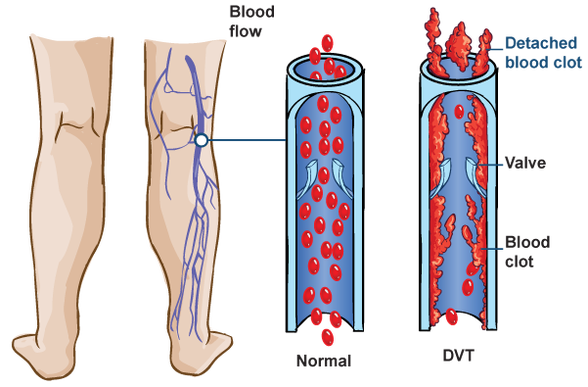 Deep Venous Thrombosis (DVT) mainly affects the calve muscles of the legs, and my experience of this included aches, burning sensations, massive swelling, and reddish or purplish skin, and extreme pain in the affected area. I had just given birth, and when I went home I noticed that my left leg was swollen, and without any idea as to what was causing this, I contacted the family doctor. He asked me how I was feeling and what my symptoms looked like, so I explained that I had a strange burning sensation throughout the lower area of my legs. The doctor told me to go to the hospital as soon as possible, and so I went to the ER for a quick assessment. The medical staff took down the list of medications that I had taken, which included prednisone and hydrocortisone in order to control my symptoms of rheumatoid arthritis, and that began in 1988 when many doctors did not reveal the side-effect profile of the medications that they prescribed. The doctor on duty at the hospital completed his diagnostics and gave me some painkillers, and since it was a weekend he told me to come back on Monday to meet with a specialist. However, the pain worsened that night, and I was taken back to the ER on the following day, whereafter the physician explained that nothing was wrong and that I should wait until Monday. This was the best hospital in the area, so I accepted their directives and went back home. By this time my leg was so swollen that I thought it would burst, and I checked with other hospitals, but there were no specialists in the area who could treat these symptoms. Monday morning came, and when the specialist saw my condition he immediately admitted me and began explaining that my leg had been clotted to 98% at a critical vein junction. Due to the lack of immediate treatment that weekend he informed me that I should prepare to have my leg amputated as soon as possible, and my surgery was placed in the queue. I was heartbroken, because I had been very active in seeking their help, but they kept sending me back home with nothing more than a prescription for pain-killers, and their actions had led me into this horrible situation. 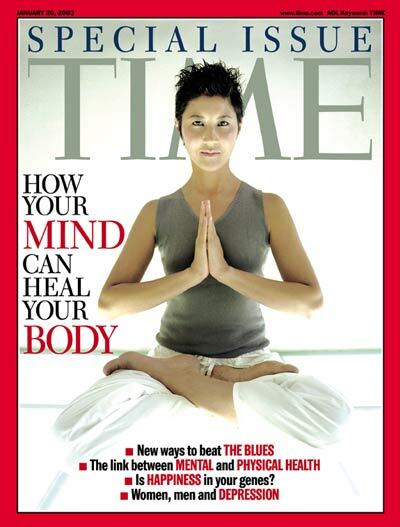 What was worse was that they immediately withdrew the prednisone and hydrocortisone, so my arthritis flared up immediately, and everything locked-up - I was completely unable to move. The inflammation spread through my body like a wildfire, and each of my nerves were consumed with such pain that no amount of medication could control the feeling of burning electricity radiating throughout every bone of my body. Any minor movement put me in agonizing pain, and I was so immobilized that I was unable to do anything other than stare at the ceiling and cry alone in the hospital room. At that time I began to pray in a way that I had never prayed before. I didn’t want my leg to be amputated. My baby was only a few weeks old, and I just prayed that God would keep her sage and give me the chance to be with her again. I released all of my personal resentment and bitterness about the situation, and I began to imagine what it would be like to walk on both legs again. I focused on the images that I would see when I would be reunited with my family, and I directed my energies to remaining intensely positive and finding a way to renew myself and my personal strength. Thank God . . .
Then, the doctors walked into my room, and they suddenly had a change in their demeanor. They were more thoughtful and methodical with how they approached my condition, and they weighed the pros and cons of amputating my leg while I was in such an inflamed state. After much deliberation they decided to give me a round of medication as a first course of action, and my blood-clot began to dissolve with my leg returning to normal. Astonishingly and thankfully I was able to go home after a period of observation, and I saw my baby again, working hard over the next several months in physical therapy to restore my movement. After training hard to regain my strength I was able to stand on my own, and what is most important is that I had come home to my family and fulfilled my vision to recover. This experience has helped me to find the inner strength I need in order to encourage others to live their lives to the fullest and to never give up – No matter what obstacles that the world sends their way.